Recipe of the Day: Frozen Mint Julep Cocktails - Eat. Fit. Fuel. In honor of the Kentucky Derby tomorrow ~ How about this! Frozen Mint Juleps! Deliciousness. Its a variation on the traditional – and I like to think of myself as traditionally non-traditional. Enjoy! 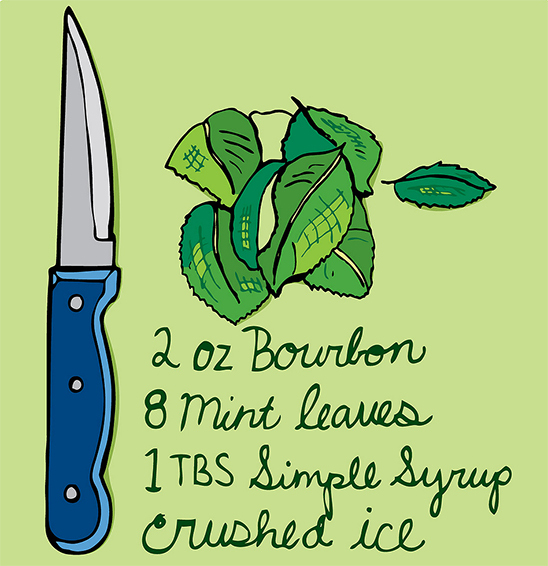 Place mint leaves, bourbon, simple syrup and lemon juice at the bottom of a glass. Muddle (mash) the mint with the liquids until blended together. Pour this mixture into the blender. Add 3/4 cup of crushed ice and blend until slushy.